In Chicago's Wicker Park, Alliance Bakery has made its home since the 1920s. Operated by Chef Peter Rios, Alliance's selection of baked goods varies from macarons to croissants to....cupcakes! This is one of the many places to get cupcakes in Chicago, but certainly one of the most unique. The tiny bakery transports customers to a vintage-looking Eastern European cubby-hole with two large cases. 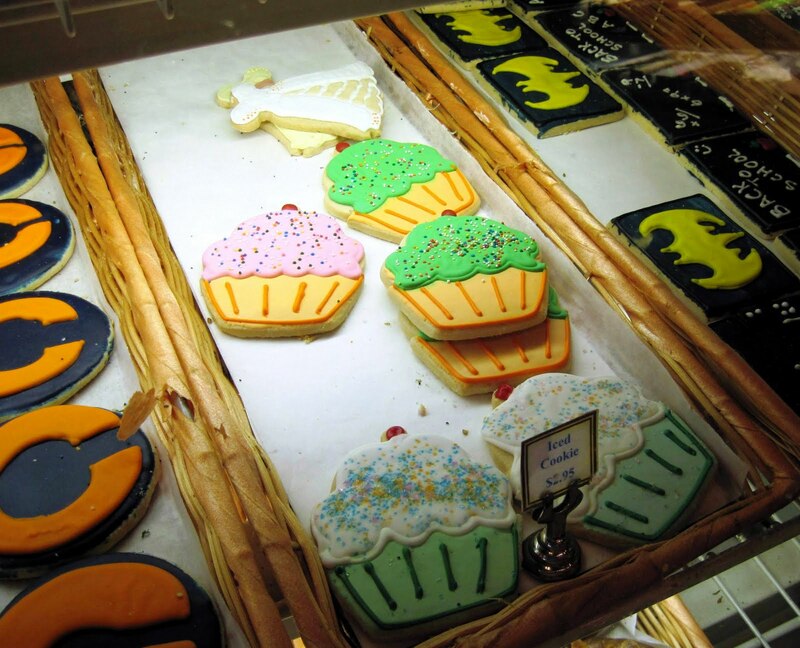 The cases are packed with all kinds of desserts with a coffee bar behind them. The bakery probably looks exactly the same as it did 20 years ago, but the cupcakes are fresh daily. 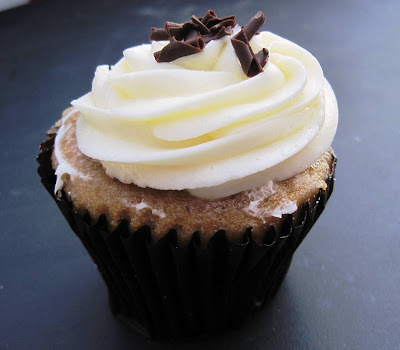 The banana chocolate cupcake with cream cheese frosting was a rich banana cake with very light whipped cream cheese frosting, filled with a gooey chocolate banana ganache. Topped with the fresh milk chocolate shavings, this cupcake was both yummy to look at and to eat. The cake was very thick and creamy with the ganache and it melted in my mouth with the frosting. There were about five other cupcakes to choose from, but this was perfect for me since I've been on a banana and chocolate kick lately. Look at these adorable cupcake cookies! 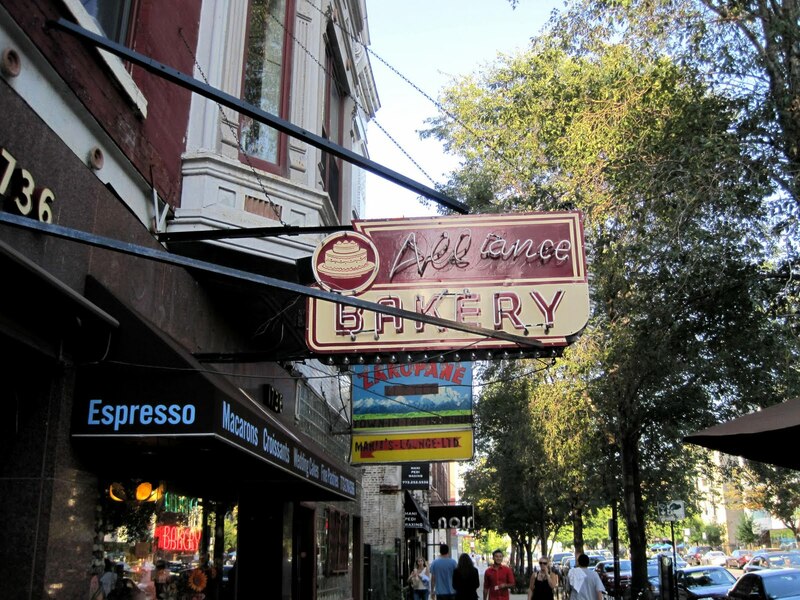 Alliance is a very welcoming place for people to sip caffeinated beverages and eat cupcakes. The cafe part next door offers a very homey seating experience for people to gather in small groups or for students to study. Extra bonus: outdoor seating area along Division to watch dudes take off on fixed gear bikes with drink carriers full of cupcakes (yes, this actually happened when I visited [sorry no pic, he was too fast! ]).